Posted September 19th, 2018 - News Posted for ISA News, World Surfing News. To view schedule, team ranking, and heat draws, click here. A dramatic, last-minute sprint to the starting box earned Team Spain a Gold Medal in the ISA Aloha Cup (a tag team format competition), narrowly defeating host Japan on day 5 of competition at the 2018 UR ISA World Surfing Games. Gony Zubizarreta propelled Team Spain to the win with the highest score for his team in the Final of 6.27. “It feels amazing to win Gold!” said Zubizarreta. 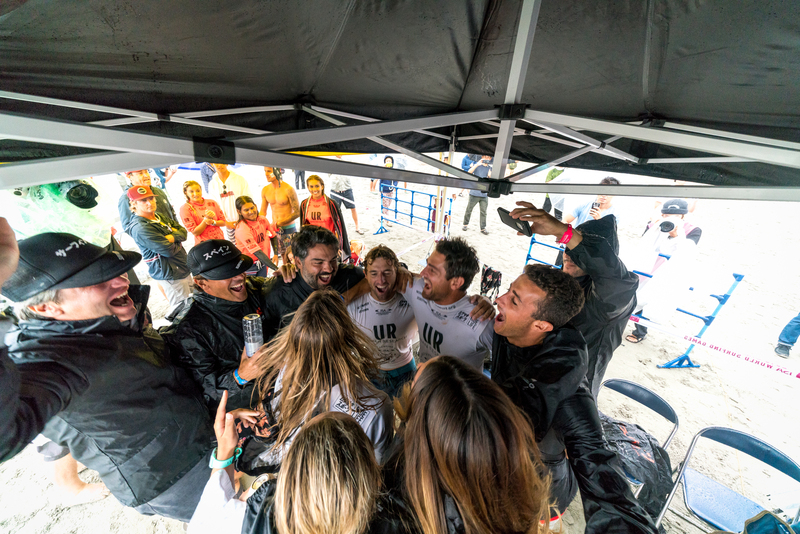 “This is Spain’s first ISA Aloha Cup Gold, and this definitely was the most fun part of the event. Competing with all the team, running, and all the stress make it super exciting. Despite a solid effort from their anchor Kanoa Igarashi, Team Japan finished just 0.26 points behind Spain for the Silver Medal. Team Costa Rica finished with the Bronze and USA with the Copper. The one-of-a-kind ISA Aloha Cup is a team relay event featuring the top eight teams from the previous edition of the ISA World Surfing Games. With an equal number of men and women, each team is comprised of four team members, and each athlete catches three waves in their leg of the relay. The three scores from each athlete are summed up to get the overall team score in the 45-minute heats. First Semifinal featured France, Mexico, Japan, and Costa Rica, while the second Semifinal featured Portugal, Spain, Peru, and USA. 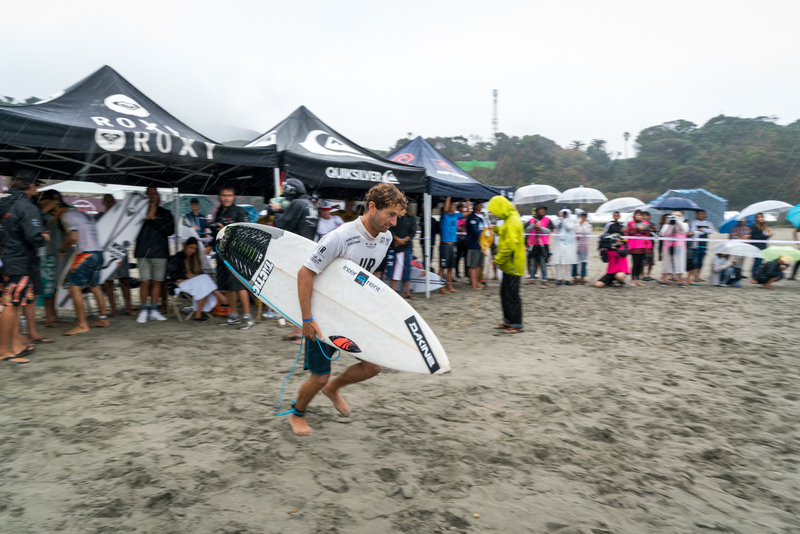 In the small, beach break conditions, Japan and Costa Rica’s expertise shined in Semifinal 1 as they advanced onto the Final. In Semifinal 2 Team USA continued their strong surfing in the event, earning the highest score of any team in the Semifinals with 53.82 points between their four surfers. Spain followed USA, advancing to the Final. Costa Rica jumped out to an early lead in the Final with Anthony Fillingim earning the heat high wave score of 7.5. The rest of the field caught up to Costa Rica through the heat with well-balance performances from their men and women competitors. In the dying seconds of the heat, with all teams having returned back to the starting box except Spain, Vicente Romero’s modest score of 1.7 was enough to push Spain into the lead. However, his work was not done, as he had to sprint back into the box to avoid a penalty that would remove them from the Gold Medal position. In the nick of time Romero reached the starting box to assure the Gold for Team Spain. Joining Zubizarreta and Romero in the final for Team Spain’s Gold Medal performance were Nadia Erostarbe and Leticia Canales. “The ISA Aloha Cup never fails to excite. Despite the smaller conditions, the world’s best National Surfing Teams showed how to use teamwork in an individual sport like Surfing. “Congratulations to all the teams that earned medals in the Final, and especially to Spain for taking the Gold. This Aloha Cup was close to the very end, with a mere four points separating Gold from Copper.